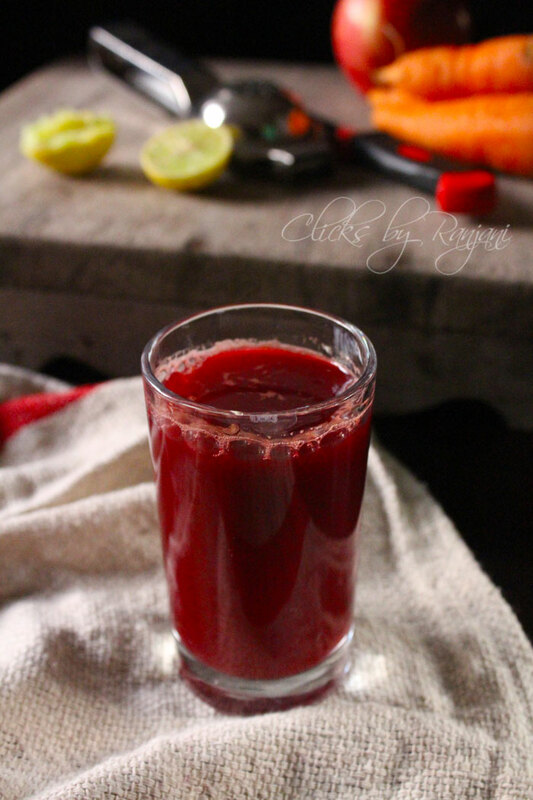 Beet Carrot Apple Juice Recipe – healthy drink to start your day.All three apple, beet, and carrot have wonderful health benefits. If you don’t like the raw smell of beet and carrot, add ginger and lemon it will give a nice flavor.Each has separate health benefits, but the combination of three will give you an amazing health for your lifetime. 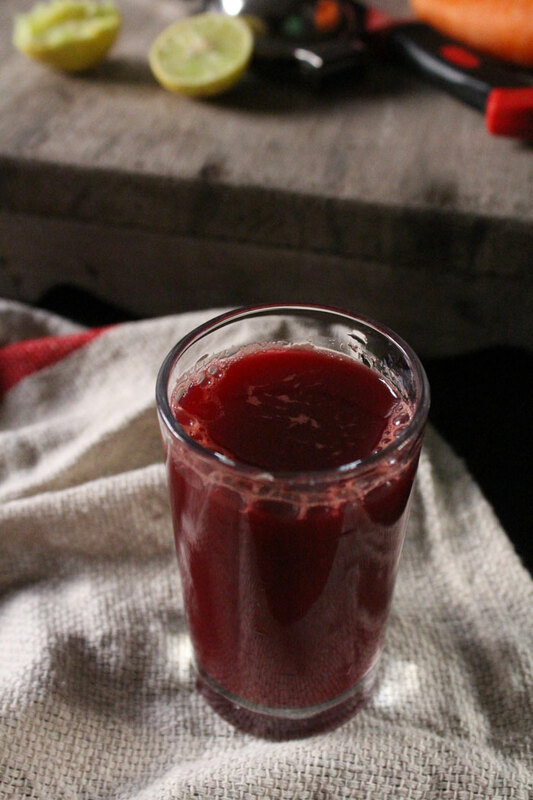 The regular intake of this juice will give you long term beneficial effects. The amount of apple, beet, and carrot to add is up to your choice. But the equal quantity gives you a good effect.If you are really health conscious, skip the sugar and instead add honey to the juice. Do not store this juice. Make it as fresh and consume without storage. Trust me you will feel wonderful changes on your in a week time. I have read an article about this juice as it is named as “miracle drink” and it was discovered by Chinese herbalist to treat for lung cancer. There is no wonder on this name. Definitely, it will do a miracle in a short period of time. The presence of life-saving anti-oxidants in these two veggies and one fruit will help you from cardiovascular problems. 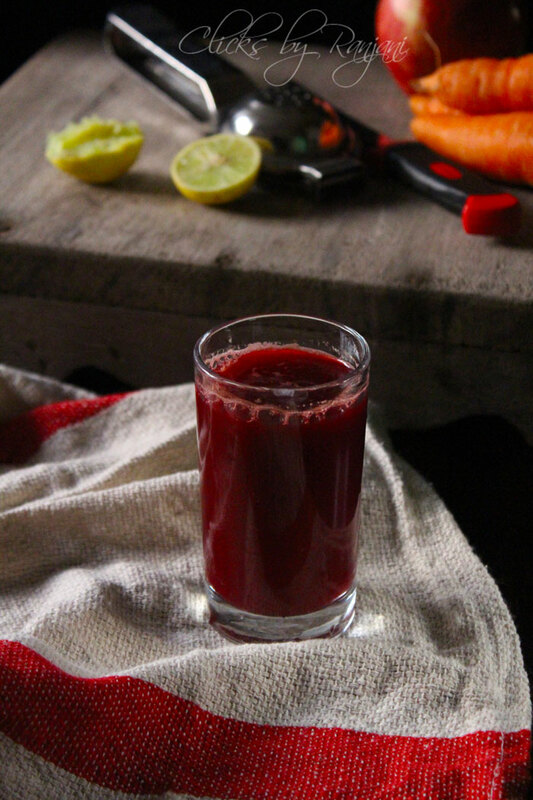 This beet carrot apple drink is good for skin and delay aging. Peel beetroot, carrot, and apple wash and cut into cubes. Take equal amount of chopped beetroot, carrot and apple. Add ginger piece into it. Grind all together in a mixer by adding a little water. Drain and add a little water, then add half lemon juice and mix well. Add sugar or honey as you needed. Serve with your morning breakfast or at any time. The addition of ginger and lemon juice is optional. Its addition adds more flavor to the juice. Add sugar or honey as of your taste. healthy juice!! perfect to kick-start a day! !